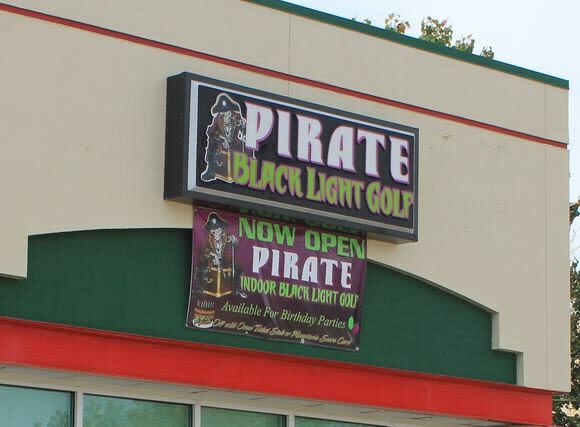 Pirate Black Light Golf is Fayetteville’s most exciting indoor miniature golf courses on the high seas! You’ll putt through pirates, parrots, cannons, and gold treasure for the most fun you can have putting indoors. 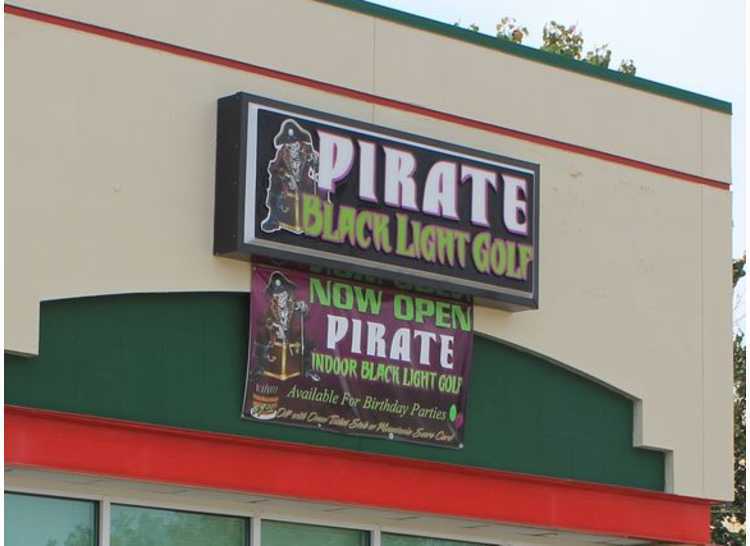 18 holes with neon lighting.